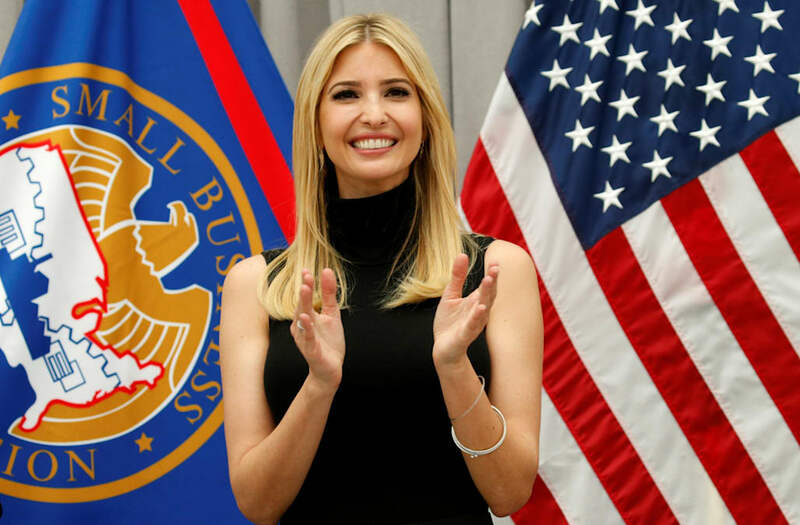 It looks like Ivanka Trump has met her match! A woman named Tiffany has made it her mission to look just like the first daughter, undergoing a whopping 13 surgeries in one year. On Friday's episode of "Botched," she detailed her procedures to plastic surgeons Terry Dubrow and Paul Nassif. In fact, she approached the two surgeons for an additional procedure -- to fix a "bump" on her nose. "I've had 13 surgeries," Tiffany said. "And I was so pretty before but I'm just more elegant now." Before her surgeries, Tiffany had long brown hair, but now dons Ivanka's platinum blonde locks. Since starting her journey, she's had two breast augmentations, a nose job, an eyelid lift and liposuction on her stomach and buttocks. And why exactly does Tiffany want to look just like the entrepreneur? Because she believes that Ivanka is "a role model for all women." After she revealed the amount of work she's had done, the doctors were immediately concerned about the time frame of her surgeries. "Were you put under anesthesia 13 times in the last year?" Dubrow asked. "No, three," Tiffany said, which alerted the doctors to the fact that she has had multiple operations at once. And then the truth came out: "No. I was married for like 10 years, but, no, I am single." Then Nassif asked the next logical question: "How long after you broke up did you start having these surgeries." Tiffany then confessed that she started getting surgery just four or five months after she and her spouse split. "It is very common for people after a traumatic event or a breakup to come in and want to have plastic surgery." Dubrow told the camera. "But you have to be very careful of those individuals, that they are doing it for the right reasons, and they don't have unrealistic expectations. That can be a real red flag." What do you think -- did Tiffany achieve her goal of looking just like Ivanka Trump? For more on Tiffany's episode, watch the video above.